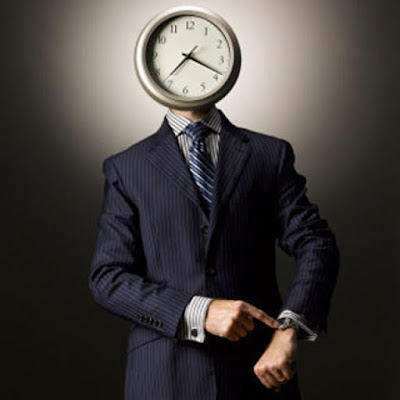 Jared Unzipped: Punctuality: The Importance Of Being On Time And Meeting Deadlines. Punctuality: The Importance Of Being On Time And Meeting Deadlines. Over the course of the past few weeks, I've encountered some calamity while attempting to sell items via Craigslist. Namely, my (potential) customers have been extremely late or simply failed to show up. I attempted to sell a printer a few weeks ago to someone whom contacted me. They asked if I could meet them in a public location that's approximately twenty minutes from my house. I arrived ten minutes early and waited over an hour, only for the buyer to never show up. The buyer had the nerve to email me the next day and ask if I could meet them again. When I stated that they would need to come to me because they stood me up, they complained and then never wrote back. A few days after that, an interested party asked to purchase a marble chess set I had for sale on Craigslist. They sent me an endless stream of emails asking me all manner of questions, some of which were repeated. When it came time to meet me (again, another twenty minute ride to accommodate their distance), they stood me up. They also contacted me after the fact to make an excuse and asked if they could meet me another day. Giving them the benefit of the doubt, I said I could. They never wrote me again. Back to the printer! Another buyer wrote and asked if they could purchase it. We agreed upon a public place and time to meet. Yet, instead of showing up when scheduled, the buyer called me three separate times saying they were "a few minutes away". They finally arrived an hour and a half late, without so much as an apology! What baffled me is how they just assumed I'd wait that long. Honestly, I probably should have left out of pure disgust. A second buyer contacted me about the same chess set last week. They asked if they could meet me at a gas station on Sunday (yesterday) at 11:30 AM. What time did they actually show up? 12:20 PM. That's right... fifty minutes late. How serendipitous of them to arrive literally as I was about to pull away. My blood was boiling. I looked at this woman's face with a deeply sour expression and was about to give her a piece of my mind, but she had a child with her. I bit my tongue because I didn't want to make a fuss in front of the kid. She never apologized or explained why she was late. In every one of these instances, the customer had my contact info. They could have called or emailed me at any point to let me know of their tardiness, much less their not coming. Americans have developed a genuine problem with being on time. As a whole, we've become lazy, prone to lateness, inconsiderate of others, and simply don't follow through with tasks. If you say you're going to do something, or be somewhere at a certain time, then you need to do it. No excuses. At the very least, if you do encounter a delay, let others involved know that you're going to be late. It's just a matter of common decency. Flaky, undependable, rude, discourteous -- this is no way to go through life. On some level, I'm ashamed to share a country with these plebeians. And yet, this will continue to happen, over and over. Our self-serving culture promotes being wayward and capricious. Where did we go wrong? The scary part? It's only getting worse.